The 'Airport Minibus' Service takes you directly to Corvin Point Hostel for HUF 3000 within 60 minutes. If you prefer to use public transport buy 2 piece of Single Tickets for 350HUF/piece at any Newspaper Agents at the Airport. Take the bus '200E at the airport and validate your first ticket on the bus. Go until the last stop: Kobanya-Kispest metro station, and change to the metro line (M3-blue). Use your second ticket at the entrance of the Metro. Go 7 stops until 'Corvin-negyed' station. Come up from the underground at Corvin Mozi (Corvin Cinema) and walk along on Jozsef korut for about 200m until the second street, which is Nap utca. Corvin Point Hostel is the first building on the left side. (Nap utca 4.) Doorbells are on the wall just right from the entrance. Look for 'Corvin Point Hostel' written red in the left column. The entire trip takes about 70-80 minutes. 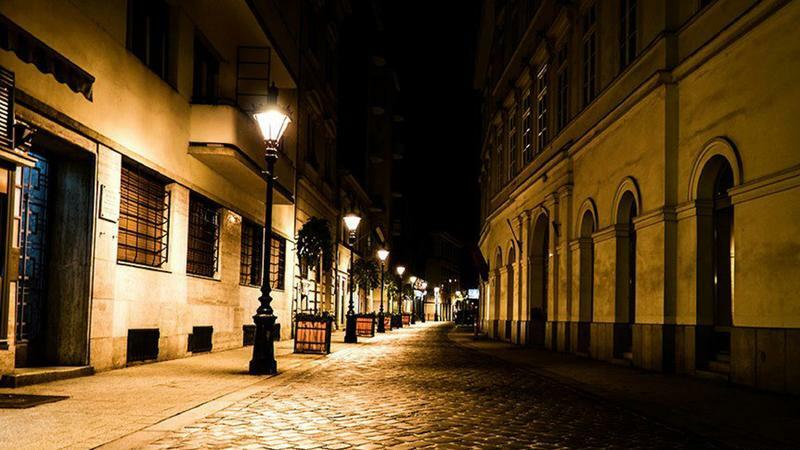 Arriving late night to the city Taxi is the best choice to get easy and fast to the hostel. Taxi takes you from the exit of the airport to Corvin Point Hostel for a flat rate of 5000 HUF / 22 EUR. Otherwise Taxi service in the city is only reliable if you book by telephone, so please ask the receptionist at Corvin Point Hostel to assist you. Otherwise, be sure to confirm the price before starting your ride. Buy 2 piece of Single Tickets for 350 HUF/piece at any Newspaper Agents at the train station. Take the red metro line (M2), validate your first ticket and go 1 stop to 'Blaha Lujza tr' station. Change to tram Nr. 4-6 towards Petofi hid, validate your second ticket, and go 3 stops until 'Corvin-negyed'. Get off the tram but dont go down to the underground! Come all the way back at the end of the tram stop until the crossway and cross the street (Jzsef krt) to the beginning of Nap utca. 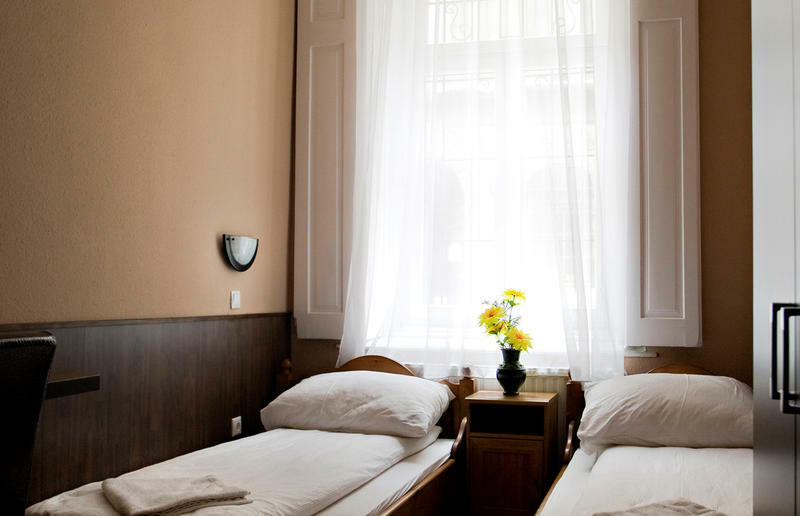 Corvin Point Hostel is at Nap utca 4, the first building on your left. Doorbell is on the wall just right from the entrance. Look for 'Corvin Point Rooms and Apartments' written red in the left column. The International Bus Station (Nepliget) is only 3 metro stations away from Corvin Point Hostel. Please follow the direction above. If you are using GPS be careful: There are many Nap utca outside the city! We are in the VIII. district. In order to take the right bridge (Petofi hd) you have to take the left lanes when you reach the city. Follow the road (~6-8 km) until you go over the bridge (Petofi hd). Continue your way on the Great Boulvard (Ferenc krt). Cross the big intersection (lloi t) and at the second street turn right. The hostel is the second building on your left. Nap utca is a one way street, entering from Jozsef korut is possible. Keep in mind though that there is no free parking in the city center. There are many parking lots right next to us where one day parking costs 10 EUR. Write us for further details..
Corvin Point Hostel's calm and peaceful atmosphere is located in a more than 120 year old historical building. The facade of the building is untouched for 6 decades. Among its walls you can still see and feel lots of history. From Corvin Point Hostel, you can easily reach all the important sightseeing spots in 10-20 min. such as: Royal Palace, St. Stevens Basilica, Szechenyi thermal bath, Parliament, Heroes Square, Gellï¿½rt Hill and ruin pub districts. The river Danube is only 2 tramstops away. 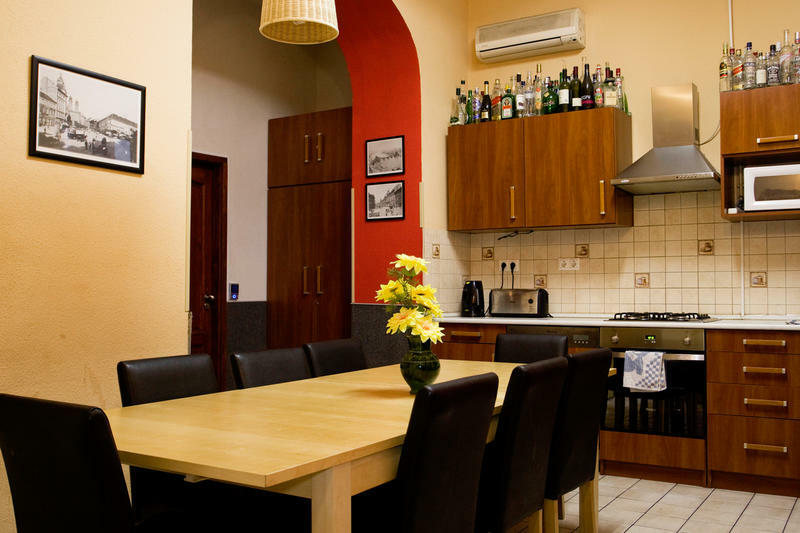 Corvin Point Hostel is a well-run family-owned hostel that provides all types of accommodation such as budget dormitory rooms, silent private rooms ENSUITE, and cozy, fully equipped apartments. 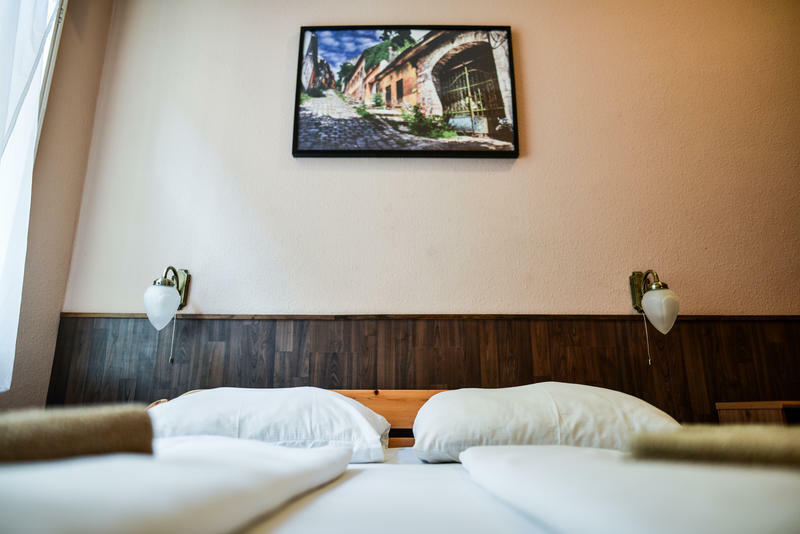 The hostel can accommodate 36 guests at the same time while all the rooms and apartments are in the same building in one place. 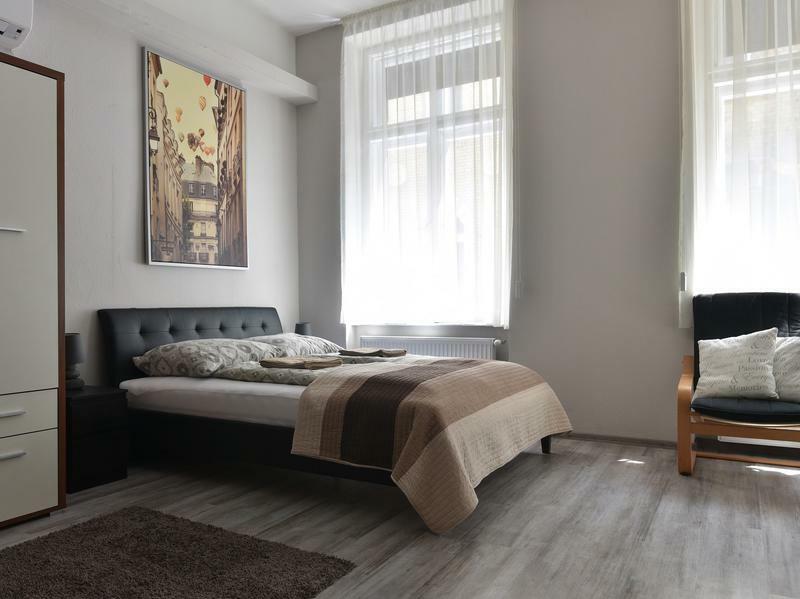 Besides the different types of accommodation, we can offer a massive variety of interesting services such as: free walking tours in the city, boating on the river Danube, sightseeing tours both in Budapest and the countryside, wine tasting, caving in the hills of Buda, bike rental, pub crawl tours, tickets for thermal baths, beer bike rental and etc. We also work together with many Hungarian universities ERASMUS program and support those foreign students who arrive to the city for a semester. 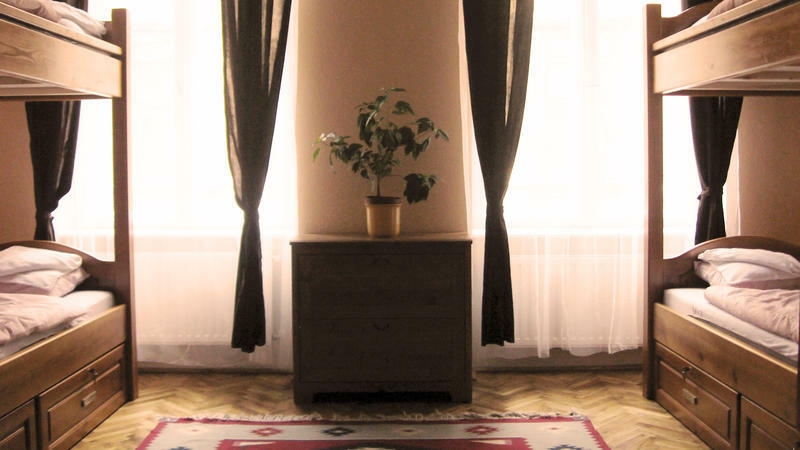 We can help them in many different ways in finding the right place to live, and taking the first steps to start their semester in Budapest. We love to do our job. Budapest is a great city and we meet so many different people from all over the World. As we have been working in hostel business since 1998 our mission has never changed: Give our guests a real home, with full of new experience. So far many backpackers, groups, families and couples have chosen us. We look forward to seeing you too.